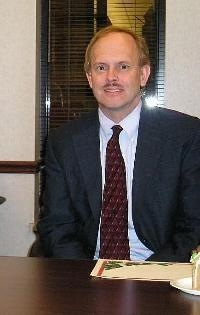 Leonard has 30 years of extensive legal experience including but not limited to: real estate transactions, real estate problems, easements, Board of Tax Appeals, contracts/agreements, zoning, planning, appraisal, eminent domain, municipal court, business organizations/transactions, probate and other related areas. From 1979 to 2009, Leonard was an Assistant City Attorney for City of Olathe as well as an assistant city prosecutor for several years and counsel to the planning commission and board of zoning appeal for many years. He has also been legal counsel for several non-profit organizations and is currently Vice-President of the Johnson County Bar Association. Leonard has substantial litigation experience appearing before the Johnson County District Court in a number of cases every year and before the Kansas Court of Appeals and Kansas Supreme Court. Also, over 30 articles for the Johnson County Bar Association Bar.